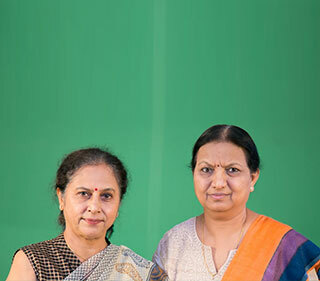 Women project managers in India occupy positions of authority and influence at work and beyond. 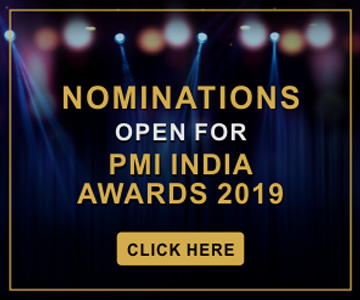 They are active volunteers of PMI India and their chapters, and brand ambassadors of project management. They have contributed towards building a vibrant project management community in the country and changing mindsets about the capabilities of women. We invited women leaders from across PMI India chapters to pen down their thoughts on some of the biggest changes that organizations across industries are currently experiencing and how project practitioners need to adapt to those changes. “He who can no longer pause to wonder and stand rapt in awe, is as good as dead; his eyes are closed,” said Albert Einstein. In The Power of Pause: Becoming More by Doing Less, author Terry Hershey says slowing down is difficult when you live in a fast-forward world. However, there is always a price to pay if we don’t regularly take time to pause. It is important for organizations to nurture that culture in today’s VUCA (Volatile, Unpredictable, Complex, Ambiguous) world where the average lifespan of a company has decreased by more than 50 years in the past century. Organizations will do well by embracing the spirit of Shinise (a Japanese term for long-established businesses) and re-imagining VUCA as Vision, Understanding, Clarity, Agility. The ability to maintain perspective in the midst of action is critical to success. Great athletes must simultaneously play the game and take a step back to observe the action sometimes. Similarly, project teams must deliberately pause and reflect, instead of continuously trying to tackle every ball tossed at them. A moment to pause in a project is to inspect and adapt – the twin mottos of agile retrospectives. It enables teams to create a continuous improvement culture, where they reflect on their experiences and define future actions to have a positive influence on the value they deliver to clients. When you are sitting in a meeting, watch what is happening. Observe the interplay of relationships and see how people’s responses to one another vary: supporting, thwarting, or listening. In a face-to-face meeting, watch people’s body language, tone of voice, emotions. Silence is often considered a sign of weakness. However, silence is a source of great strength. World-class negotiators agree that the key to a successful outcome is sometimes knowing when to shut up. In a negotiation, silence can convey a sense of mystery and power; and it can signal one’s willingness to walk away rather than settle for anything less than the desired outcome. Pauses give employees a renewed sense of purpose and alignment. Exploring new interests or lifelong passions, taking a class, or spending time with family are all big payoffs. Employees end up feeling refreshed and rejuvenated — a feeling that is likely to have a ripple effect on their job and their co-workers when they return. When I overheard this conversation, I realized it was a telling example of organization culture, where innovative thinking or speaking up is not the norm. While most of us tend to take culture for granted, it plays like background music. Easy to miss, but which can intensify the impact of a situation. Without the right culture, delivering an outcome can be a Herculean task. The culture can reflect in seemingly minor things like punctuality or the way someone dresses to work, but can have a bearing on major aspects like ethics, integrity, and professionalism. Single person v/s everyone: Culture builds up in a certain way, depending on whether it is the behavior of one person or the norm in a group of people. For example, formally dressed employees in a bank are a reflection of the bank’s culture. Norm v/s exception: Culture is felt when a trait is the norm and not an exception. In an organization where punctuality is the norm, people will join meetings on time and deliver outcomes within the timeline. Supported by structure and process v/s heroic efforts: Specific culture flourishes when it is supported by policies and processes, and is demonstrated in action by its leaders. It doesn’t take heroic efforts to achieve certain outcomes if they are supported by culture. Macro environmental factors like geography, religion, and history also play a part. For example, Israel is known to be an innovative country and it is natural for its people to think out-of-the-box. For today’s agile teams, fostering culture is important as they work in close-knit groups. A suitable culture can make the group work more efficiently, as behaviors can be predicted and the team has a clear understanding of what is accepted and expected. While inculcating culture in employees, it is important to understand that there are no quickfix solutions. Transforming culture is not an initiative but a movement that involves every team member, and sometimes requires systemic changes. There is no success formula for getting it right, as it is anchored in mindsets, social interactions, and unspoken behaviors. Organization culture can be viewed from two perspectives – that of the employee and the organization. It is about what an organization offers its employees, and how employees understand and honor it. Most organizations have valuebased frameworks and adopt diversity as one of the main goals to ensure employee satisfaction and retention. Culture is often the result of the conscious efforts of the organization’s management and its employees. It says a lot about what an organization expects from its employees. An organization’s performance is also hugely related to its culture. Therefore, it is important for employees to first understand the culture and its values to succeed at the workplace. • Be proud of the brand you are working for. If you are not, then you are not in the right place. It is imperative for project managers who work across organizational verticals to become ambassadors of that brand. • Take time to understand the organization’s values, culture, people, and policies. Project managers are influential by nature of their work, so understanding is the key to success. • Resist comparing the culture of an old employer or suggest changes hastily. Before you question or pass judgment on an organization’s processes, find out the reasons behind those processes or policies. Be respectful while expressing your opinions. • Build connections with people experienced in the organization and learn from them about what they are proud of about the organization. What made them stay long enough? As you build these connections, you get more insights into the organization’s ways of working. First, learn to listen without trying to influence thoughts. • Build credibility before you recommend any change. When you speak up against the opinion of influential people who have created the culture, you should have the credibility for your voice to be taken seriously. I have seen people fail to achieve career success by being unnecessarily critical about the employer, basking in past glory, or by going against organizational norms. That is a definite step towards failure. It does not mean that you will have to live with what you have. But be mindful and respectful before you attempt to change. Down the years, we have seen how the culture that has defined the boundaries and capabilities of women has changed. Women in India have come a long way – from a time when the walls of their home were their boundaries and home-making their sole area of capabilities. With education and changes in attitudes, women have fought for the right to earn and the right to work outside the confines of their homes. It was when they set foot outside their homes that for the first time they encountered new assumptions, perceptions, thoughts, and feelings of the world outside – a crude version of organization culture. We have come a long way, yet we have miles to go. Accepting the status quo has been the greatest inertia in society and even at the workplace. I spoke to project managers to understand what they felt had changed and what more needs to change. 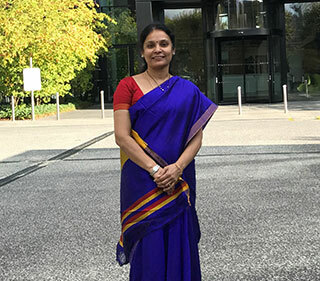 Shruti Singh, a project manager with more than 16 years of industry experience, says she has seen many positive changes, but people’s mindsets are yet to change. Many people find it difficult to accept that women are as competent as men and are capable of handling challenging roles. “Judge me by my capability and not by your assumptions,” she says. We need more role models like Rosabeth Moss Kanter, author of The Change Masters and many other change management books, Rebecca Winston, PMI leader and pioneer of a number of special interest groups and initiatives in PMI, and Elizabeth Harrin, who published A Girl’s Guide to Project Management. Women, being inherent multi-taskers, are believed to be better project managers. Himanshu Joshi, a project manager with 24 years of experience, finds that soft skills, particularly the ability to empathize, differentiate women project managers from their male colleagues. They also have an innate ability to sense trouble, anticipate risks, and get people to work on risk mitigation. 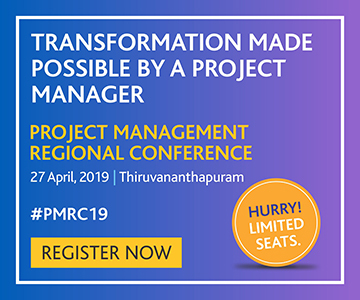 “Technical skills can be developed with formal training but I think the natural ability of women project managers to connect with people makes them special,” he says. Some of those abilities are team building, coaching, motivating, communication, negotiation, being culturally more aware, conflict resolution, trust building, and influencing the right decisions to ensure project success. The future looks promising because women are as relentless and persistent as men in achieving in their goals. Changes in perception will make this journey more fruitful. For project managers, the only way to successfully juggle these situations is to nourish their skills. A project manager needs to revisit his or her existing skill library. You may prefer to walk down the same aisle and open the same cupboard in the library marked for a subject you have been reading for some time. Or you may walk down the other side to check a new cupboard that made its way in last week, or the old one that holds knowledge on a subject you have never ventured into. Scene one is what I view as up-skilling and the other two are of re-skilling. As a practitioner and having met many in my community going through similar dilemmas, I feel the challenge is in making the right choice. Core skills are dissolving and evolving. In these changing times, re-skilling will pay more dividends than up-skilling. Any kind of re-skilling calls for a higher risk appetite, something that the habit of regular up-skilling will prepare practitioners for. So, the choice of re-skill versus up-skill is a critical decision. It calls for regular and diligent homework. Look for both offline and online modes. Being part of communities of choice often provides valuable information. Occasional café sessions with mentors will help you in the evaluation. Making your family a part of the process is an important step in the constant journey of learning for any project management professional. And then, even if you fail, count it as a lesson learned. As a project manager, up-skilling oneself with the know-how of changing policies, trends in social behaviors, and brewing technologies is also an important aspect. 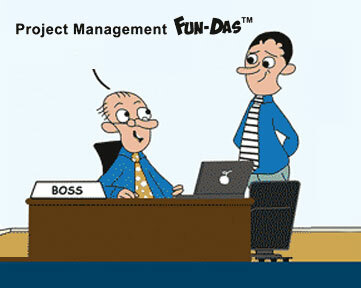 It will help in developing the right business and soft skills required to manage major projects. So, choose an aisle in the skill library that will help you to stay relevant. Do you like to dream big and believe in making dreams come true? Then you need to keep your learning spirit alive by continuously re-skilling and up-skilling. With changing technologies, new skills are trending and existing skills going out of demand. To be productive and to secure your future, you need to be a self-learner. 1. Know your interests: Apple founder Steve Jobs said, “Your work is going to fill a large part of your life, and the only way to be truly satisfied is to do what you believe is great work. And the only way to do great work is to love what you do.” So, know your interests and acquire relevant skills so that you enjoy your work every day. 2. Keep your eyes and ears open: During a meeting with a client at the start of my career I heard about Microsoft Project (MSP) for the first time. I quickly noted it down and decided to learn about it. Since there was no training program on MSP at that time, I selftaught myself with a book. Soon I implemented it in my company, thus starting my journey of mastering MSP. I re-skill myself whenever a new version comes. The more research we do, the more we discover something new. Such selflearning is outside the remit of any book or that passed on by anyone. 3. Be up-to-date: You may not be looking for a job, but if you are looking for new skills in the current market then check the relevant advertisements in newspapers/ job sites and go through the job responsibilities and desired skills, and pick up the words, acquire the mentioned skills, and apply them in your current job to be more productive. 4. Invest in yourself: If you want to grow, do not wait for your employer to invest in your training and development. To specialize in your field, up-skill like I did with my Project Management Professional (PMP)® certification that has enhanced my project management skills and knowledge. 5. Keep up with networking opportunities: When you meet people in your profession or someone from a different industry or with a different level of experience, it is an opportunity to learn about new trends and best practices. PMI gives you the opportunity to network. Start by becoming a member of the local chapter or be a PMI India Champion to volunteer, network, and learn. I strongly believe that every day gives us immense opportunities to learn in life. Further, success is the result of dedication, hard work, perfection, persistence, and readiness to learn from failures. Fresh college graduates need a good mentor and hands-on training to adapt to the work environment. They are highly likely to work in a field that is not directly linked to their college education. Many organizations have structured orientation programs to onboard freshers. However, youngsters must also take the initiative to keep themselves abreast of technological advances and enhance their soft skills. They must look out for online resources to pursue relevant certifications, and attend training to up-skill themselves. Opportunities are abundant; we only need the right frame of mind to learn. 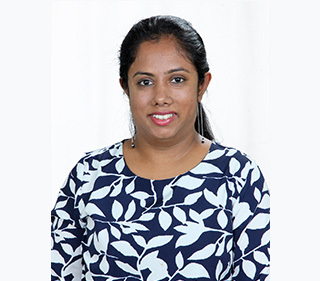 From my personal experience, management training programs at the start of my career have helped in preparing me for my role as a junior engineer. I was able to conduct client discussions and provide support at the inter-department level. Having a personal growth target and striving to equip myself to achieve the goal are my success mantras. I gained immensely from my decadelong experience of working for ABB in Dubai, during which time I worked on various project sections. The lessons in Arabic, the association with PMI members in Dubai, the Project Module Power User for SAP implementation at ABB in Dubai, and SOX Assurer were some ways in which I up-skilled myself. I believe we must identify our passion early in life, and thus achieve job satisfaction to lead a meaningful life. But as you grow, be prepared to adapt to changes. I have seen how re-skilling has helped me manage career shifts, mainly from power automation to the IT industry. One way to up-skill yourself is by joining technical bodies and professional associations, and by being actively involved in their activities. Take advantage of networking and mentoring opportunities to grow holistically. Volunteering for PMI Kerala Chapter since 2009 has also helped me to explore new avenues for selfdevelopment. As a chapter board member, I have found opportunities to learn and interact with leaders from the community and give back to society. If you have a burning desire to be an achiever, channelize your efforts to hone your skills and be ready to face the challenges bravely. Remote working or telecommuting is an increasing popular work option, with a reported 115 percent increase in telecommuting between 2005 and 2015. Though many organizations in India are open to remote working, some still prefer teams to sit together at one place. However, the benefits of remote working far outweigh the challenges, and leaders must weigh those in before deciding what’s right for the organization. Work-life balance: Today men and women share equal responsibilities, be it taking care of the child, elderly parents, or household chores. Remote working makes it possible for employees to balance the demands of work and home. Increased productivity: According to a Canada Life survey, the productivity of homeworkers is 7.7/10, compared to 6.5/10 of office workers. A Stanford survey found that remote working employees are 13 percent more productive than their in-office colleagues. Cost-effective: It promotes a healthier lifestyle by allowing employees to eat home food, exercise at a convenient time, and avoid travel stress. It also saves on fuel, parking or other transportation-related expenses. Cost savings: The biggest fixed cost for a business is office space. Employers can cut down on real estate costs and utility- and operations-related costs. As per Forbes, Aetna shed 2.7 million square feet of office space, saving US$78 million, and similarly, American Express reported annual savings of US$10 million to $15 million. Retention: The next biggest cost is human resource. Recruiting and training cost thousands of dollars. Providing employees the flexibility of remote working not only increases productivity, but also reduces attrition. Expanded talent pool: Employers can focus on skillsets rather than the location, and hire the best resources from across the world. Research says that 36 percent of employees would choose work flexibility over a pay rise. Remote working has environmental benefits too, as there will be fewer vehicles on the road. These workers use email and cloud-based applications to send messages and create documents. Working from home also means consuming less of packaged food and drink, and hence less plastic and disposables being used. So, it is time for employers and employees to cultivate an open mind about remote working and enjoy the benefits associated with this arrangement. The digital era is an excellent time for leaders in the industry to showcase their talent. This is also a time for us to take our talent around the world. It’s an individual choice – the sky is the limit. As customer requirements get more demanding and timelines get tighter, companies are setting up multi-locational and virtual teams. Geographically dispersed teams are enabling organizations to provide seamless and consistently high-quality services to their customers. They are taking advantage of digital technologies to make this a reality. “One team” has been a slogan for most organizations that deliver work with a remote and multi-location team structure. In a study by Harvard Business Review, globally employees ranked flexibility as the next most important aspect after health benefits, demonstrating how the typical 9-5 work schedule is on its way out. A study by Leadership IQ found that employees who work remotely are 87 percent more likely to “love” their job. I have experienced remote working both at work and as part of the PMI volunteers’ network. It has helped me build my leadership skills and contribute to project management communities around the world. I am now engaged with multiple institutes and NGOs to help their teams in building strong project management capabilities. The success of a virtual team is fuelled by teamwork. A lot depends on how leaders motivate and engage team members and provide them the required support to deliver to their full potential. Geographically dispersed teams of course miss out on face-to-face communication. There is a high possibility of team members getting into email wars during a crisis. Here again, leadership plays a vital role in defusing crises through open and transparent communication. As remote working rises, the future of women in the workplace looks promising. It provides a great opportunity for women who want flexibility to join the workforce, and grow and flourish. And employers who embrace flexibility and invest in women will reap rich benefits in productivity, employee satisfaction, and quality delivery.